Summary: Unmanned aerial vehicles, also known as UAVs or drones, have decentralized airspace access, allowing agriculturists, construction workers, and other civilian users to integrate aerial monitoring into their daily work. Unmanned aerial vehicles, also known as UAVs or drones, have decentralized airspace access, allowing agriculturists, construction workers, and other civilian users to integrate aerial monitoring into their daily work. This technological revolution comes with a set of concerns, impinging as it does upon the proprietary, reputational, and security interests of individuals. An appropriate regulatory response and new policy recommendations must go beyond the current regulatory intervention in India. Advancements in fields such as automation, robotics, miniaturization, materials science, spectral and thermal imaging, and light detection and ranging have resulted in drone-enabled solutions in areas as diverse as the agriculture, power, infrastructure, and telecom sectors, as well as crowd and disaster management. UAV activity will impact proprietary interests because common law has not clearly demarcated the commons from owned airspaces. It will also raise huge privacy concerns, considering the potential deployment of drones for massive data capture and analytics. China conceived its 'Neighbourhood Policy’ in 2007 to assure neighbours regarding its peaceful intentions -- seeking no hegemony, playing of power politics, interfering in internal affairs and imposition of its ideology on other countries are the important objectives of policy. However, seeing the Chinese reaction on the Dalai Lama’s visit to Mongolia in December 2016, it seems that China does not believe in pursuing its own neighbourhood policy in spirit and substance in the context of its small neighbour. Tibet has long remained as one the most crucial issues of Chinese foreign policy in general and the neighbourhood policy in particular. In 1949, Tibet was taken over by China. The Tibetan leaders were compelled to sign a treaty known as the Seventeen Point Agreement (SPA), dictated by China in 1951. The agreement guaranteed the autonomy and respect of Buddhist religion along with the establishment of Chinese civil and military headquarters at Lhasa, capital of Tibet. Being communist, China controlled the freedom of religion, speech, and press of the Tibetan people. The Dalai Lama had met Chairman of the Communist Party of China Mao Zedong (1945-1976) in 1954 in an effort to sort out these issues and urged him to honour the SPA. In the face of Chinese obduracy, the Dalai Lama consistently fought for Tibet's autonomy and China took a tough stand against him. Consequently, he fled to India in 1959 and has since been living in India with 100,000 Tibetan refugees and their government-in-exile. The Dalai Lama has been perceived by Beijing as a separatist leader. Therefore, the Chinese leadership wanted that the neighbouring countries should follow the ‘One China Policy’ as well as not hosting the Dalai Lama. What if Beijing simply degraded and destroyed the ability of U.S. forces to have those advanced eyes and ears and brought back an old foe of U.S. forces— the much hated “fog of war?” If that was the goal, a Chinese military campaign might just begin in cyberspace. Beijing might launch massive cyber strikes against U.S. command and control centers around the world— trying to blind America and disrupt the ability of U.S. warfighters from seeing the coming battlefield in real time. Such strikes, at least if I was in charge in Beijing, would come from third party countries (or at least look like it thanks to proxy servers). America would know its systems were under attack, but it might not be clear from who— at least not right away. China would have the advantage, at least for now. The next blow would come before America could ascertain who was striking at the heart of its best military capabilities— and this one would have China’s fingerprints all over them. Beijing would begin to attack American satellites in orbit, attempting to destroy Washington’s massive intelligence gathering machine and communications systems. At this point, war has definitely started and there is no mistake who is behind it. Beijing has invested more than $50 billion in the countries of the Silk Road Economic Belt within the framework of the "One Belt, One Road" policy over the past three years, He Lifeng, the chairman of China's National Development and Reform Commission (NDRC), said Monday. BEIJING (Sputnik) — He added that about 100 countries in the world had responded to the initiative and China had already signed some 50 intergovernmental agreeaments with the "One Belt, One Road" states and more than 70 accords with international organizations. "In the last three years, China's foreign investments to the countries, adjacent to the borders of the 'One Belt, One Road' strategy have already exceeded $50 billion… the results of progress in the implementation of the projects [in such countries] are excellent," He said at a press conference. In 2013, Chinese President Xi Jinping announced the launch of the "One Belt, One Road" strategy aimed at development of infrastructure and strengthening of ties between the Eurasian countries. The policy focused on two major projects, namely the land-based Silk Road Economic Belt (SREB) and the 21st-century Maritime Silk Road. China ready to do a deal with India for concessions in Tawang? China's long-time negotiator on the border talks has said that Tawang in Arunachal is an "inalienable" part of Tibet. India sees China as occupying 38,000 sq km of its territory in Aksai Chin. China's long-time negotiator on the border talks, who retired in 2013, has said that Tawang in Arunachal Pradesh is an "inalienable" part of Tibet and that a boundary settlement would not be possible unless India agreed to make concessions in the eastern sector. But if India did so, China would also make concessions in Aksai Chin, suggested Dai Bingguo, spelling out in detail for the first time his thoughts on a solution. Dai, who was the Special Representative on the boundary issue for 15 rounds of talks until his retirement in 2013, said that India "held the key" to the settlement and that if it took into account China's concerns in the eastern sector, Beijing would similarly do so in other areas. India sees China as occupying 38,000 sq km of its territory in Aksai Chin, while China claims 90,000 sq km in Arunachal Pradesh. On February 6, China published “Central Document No. 1”, its annual statement of agricultural policy. Two weeks later, on February 20, China’s Ministry of Agriculture (MOA) announced that it will begin its annual moratorium on fishing starting on May 1 (MOA, February 20). Though on the surface somewhat innocuous, China’s agricultural and fishing policies are increasingly intersecting with its broader national security objectives. Both issues are connected by a view of national security that pulls together traditional security issues with domestic stability, economic issues and food security. This connection can be seen in Chinese President Xi Jinping’s articulated vision of security. On February 22, Xi presided over a “National Security Work Conference” in which he continued his elaboration of his “Overall Security Concept (总体安全观) (81.cn, February 21). Peking University International Relations Professor Ye Zicheng (叶自成) explains that Xi’s concept brings together a full range of issues, both traditional (foreign policy and military security) and economic (such as food security) (PKU, April 19, 2016). Domestic economic realities will increasingly affect Chinese external security decision-making. 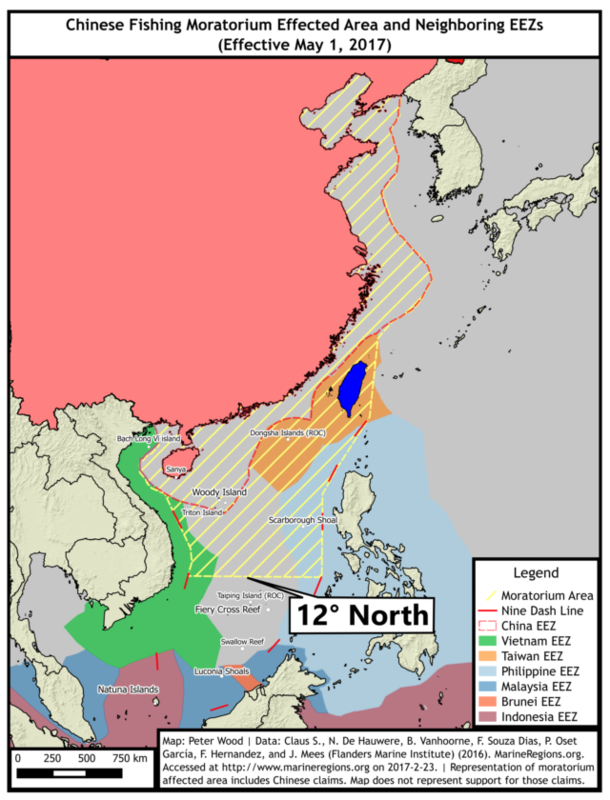 Most attention to Chinese security policy is given to its military development and foreign relations, particularly the eastern and southern axis encompassing Taiwan, Japan, and Southeast Asia. However, the most important “direction” for Chinese security thinkers is internal (内). Unsurprisingly China spends more on its stability maintenance budget (维稳) than it does on national defense (China Brief, March 6, 2014). Internal security brings sources of potential disruption into sharp focus, including social inequality and land distribution. This casts agricultural and fishing policies in a new light and makes understanding these policies more important. After an election season that called into question the very survival of the U.S.-Japanese alliance, the first month of the Trump administration instead saw the development of the strongest personal relationship between American and Japanese leaders in over a decade. Yet underneath the golf course high fives and limousine hugs between Donald Trump and Shinzo Abe lay unanswered questions about America’s Asia policy, the viability of America’s other alliances, and the future of China’s relations with both Japan and the United States. Though Asia appears far more stable than the Middle East and possibly even Eastern Europe, the shifting geopolitical balance in Asia means that nothing can be taken for granted. In the face of China’s belligerence, North Korea’s continued threat, and regional populism, the alliance between the United States and Japan faces unique pressures. Whether those pressures forge a closer relationship or cause divisions between the two countries remains to be seen. Based on my extensive discussions with U.S. and Japanese policymakers and experts, it is clear that the alliance is strong, but is likely to be tested over the coming years. Both countries will again reconsider the alliance’s role in their respective security policies as they attempt to defend particular and common interests and maintain global order. The alliance will remain primarily a tool for maintaining stability in Asia, but given the interests of both nations, Tokyo and Washington will likely feel pressure to push their cooperaton beyond regional issues to those with a more global character. At a time of shifting power dynamics in Asia, Japan faces pressing security challenges. Of the 400 remote islands that serve as markers for determining Japan’s territorial waters, only about 50 are inhabited. But no group of islands poses a bigger challenge for its security than the Senkakus, a clutch of five uninhabited islets and three rocks. 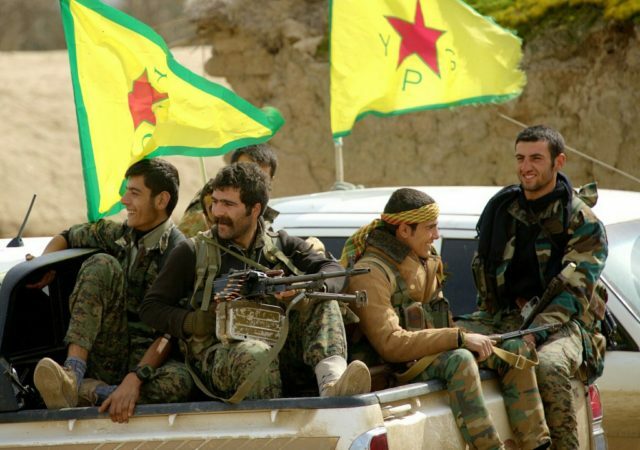 The new U.S. administration has put on hold a plan proposed by former-President Barack Obama, and backed by the Pentagon, to directly arm the Syrian Kurdish People’s Protection Units (YPG, Yekîneyên Parastina Gel) (al-Monitor, February 2). The intention is to review other options, with President Donald Trump saying during his election campaign that the ideal situation would be to get Kurds and Turks to work together. This move, however, could be a difficult one, as Turkey considers the YPG as linked to the Kurdistan Workers’ Party (PKK) and wants to weaken their presence in northern Syria (Rudaw, July 22, 2016). U.S. Secretary of State Rex Tillerson, meanwhile, has indicated he wants to re-engage with Turkey, while at the same time calling the Syrian Kurds the United States’ greatest allies in Syria (Daily Sabah, January 11; ARA news, January 14). Closer cooperation with Russia, the main backer of Syrian President Bashar al-Assad, is also possible in the fight against Islamic State (IS), although it seems unlikely the administration would want to work with the Syrian government. Nonetheless, the United States face some tough choices if it is to accelerate its campaign against IS and defeat the group in Raqqa, its de-facto capital in Syria and the base from where it coordinates its attacks abroad. Unlike in Iraq, where there is a partnership with the Iraqi army, in Syria, U.S. options will likely come down to the choice between backing a non-Syrian Turkish force, or backing a Kurdish group with links to the PKK. Sub-Saharan Africa is made up of forty-eight countries and is home to approximately one billion people. It does not include Algeria, Egypt, Libya, Morocco, and Tunisia. Continuing political violence in sub-Saharan Africa causes untold misery, and hampers political, economic, and social development. Mapping political violence is a valuable tool for identifying current and future trends. The Sub-Saharan Security Tracker (SST) uses over three million data points to map the state of political violence, specifically deaths caused by such violence, in the region, including geographic distribution, trends over time, and actors involved. May 9, 2022 — Standing on the viewing platform in Red Square, President Vladimir Putin observed the military parade commemorating the 77th anniversary of the Soviet Union’s defeat of Nazi Germany. This Victory Day, he had reason to be especially proud of his country. Earlier that week, a group of 150 Russian special forces — bearing no insignia and disguised like the “little green men” who had occupied the Crimean peninsula eight years prior — had slipped into the tiny neighboring Baltic state of Estonia. Seizing a government building in Narva, a city on the border with an ethnic Russian majority, they planted a Russian flag on the roof and promptly declared the “Narva People’s Republic.” In a statement released to international media, leaders of the nascent breakaway state announced they were “defending ethnic Russians from the fascist regime in Tallinn,” Estonia’s capital. Most of Narva’s Russian-speaking citizens looked upon the tumultuous events with passivity. Ever since the annexation of Crimea in 2014, they suspected something like this would eventually happen. In the months leading up to the incursion, Kremlin-backed television networks — widely watched by Estonia’s Russian-speaking minority — had beamed inflammatory reports about an impending Estonian “genocide” of ethnic Russians, much as they had warned of a similar phantom “genocide” allegedly perpetrated by the Ukrainian government against its own Russian-speaking population years earlier. Tensions reached a climax in March when Russian media accused an “Estonian fascist gang” of kidnapping an ethnic Russian teenager. Agents of the Russian Foreign Intelligence Service (SVR) in Narva were aware from the very beginning that the boy had actually died in an alcohol-induced accident after falling off a bridge. But such facts need not get in the way of a pretext, which came in the form of an ethnic Russian leader in Narva calling for Moscow’s “fraternal assistance” in staving off an incipient pogrom. “[Vladimir] Putin’s aggression makes the possibility of a war in Europe between nuclear-armed adversaries frighteningly real,” writes Kimberly Marten in a new Council Special Report on tensions between Russia and the North Atlantic Treaty Organization (NATO). She outlines how U.S. policymakers can deter Russian aggression with robust support for NATO, while reassuring Russia of NATO’s defensive intentions through clear words and actions based in international law. Marten, a professor of political science at Barnard College, Columbia University, and director of the Program on U.S.-Russia Relations at Columbia’s Harriman Institute, lays out several scenarios that could lead to a dangerous confrontation, ranging from an inadvertent encounter between NATO and Russian military aircraft or ships to an intentional Russian land grab in Europe. The report, produced by the Center for Preventive Action at the Council on Foreign Relations, offers a plan for how the Donald J. Trump administration could work with Congress and NATO allies to lessen the chances of crisis escalation. President Donald Trump’s newly installed national security advisor was promised full authority to reorganize the National Security Council to his liking after his predecessor was forced to resign after misleading the vice president about his conversations with the Russian ambassador. But Lt. Gen. H.R. McMaster is discovering the limits to any ambitious overhaul at the NSC, leaving him relying on people in many cases recruited by the former national security advisor, retired Lt. Gen. Michael Flynn, and other Trump confidantes. A wholesale purge is not expected, and several key NSC officials focused on the Middle East and other vital areas will keep their positions in the near term, a senior White House official told Foreign Policy. The survivors, whose fate came into question after Flynn’s surprise ouster, include: K.T. McFarland, the deputy national security advisor; Michael Anton, the deputy assistant to the president for strategic communications; and Victoria Coates, the senior director for strategic assessments who previously worked as an art historian and aide to Ted Cruz. McFarland, a former Fox News commentator, secured her status through a conversation with Trump, the official said. “The president has asked K.T. to stay so she’s staying,” the official said. Derek Harvey, the top Middle East adviser, worked with McMaster in Iraq. He is expected to continue on along with his deputies, including Joel Rayburn, Joe Rank, and Michael Bell. ORLANDO: Want to defeat an enemy? Get inside his decision cycle. Hammer away at his forces, confuse his command, steal his intelligence. Sun Tzu said most of it ages ago, but it remains true today. The key to such success is, first, understanding what you and the enemy are doing and, second, communicating that understanding to all your forces at great speed and with high certainty it is accurate. That’s why the Air Force is trying to figure out whether and how to build what it’s calling a Multi-Domain Command and Control (MDC2) system. This will be an Air Force-wide system, one that takes into account the standards and needs of the Air Force, the three other armed services, our allies and partners, says the man leading the effort. Jack Blackhurst, director of the Air Force Strategic Development Planning and Experimentation (SPDE) Office, is the man behind this and other studies into other major capability gaps faced by the Air Force. As we reported last week, the SPDE is led by Gen. Ellen Pawlikowski, the commander of Air Force Materiel Command at Wright-Patterson AFB. It reports directly to Air Force Chief of Staff Gen. David Goldfein, who has publicly enthused about “multi-domain” operations in which air, space, cyber, sea, and land-power all work together as a single seamless force. “The Air Force wants to create an effect with the adversary’s air, space and cyber assets,” Blackhurst says. The goal is for “the commander to understand his situational awareness. He knows what assets he has in the zone of control — everything from space to undersea — and can act quickly.” This is designed in the long run — and we’re probably talking 2030 before we see a finished system — to meet the challenge of what every senior officer I’ve spoken with says is the top Pentagon effort to cope with the incredibly complex world we face, what’s known as multi-domain warfare. The Army’s been most public of the services with wargaming its version of the concept, Multi-Domain Battle, and Blackhurst confirmed Army officers were part of his team. A concerted effort by the CIA produced a library of software attacks to crack into Android smartphones and Apple iPhones, including some that could take full control of the devices, according to documents in a trove of files released by Wikileaks Tuesday. The Wikileaks documents also include detailed charts concerning specific attacks the CIA can apparently perform on different types of cellphones and operating systems, including recent versions of iOS and Android—in addition to attacks the CIA has borrowed from other, public sources of malware. Some of the exploits, in addition to those purportedly developed by the CIA, were discovered and released by cybersecurity companies, hacker groups, and independent researchers, and purchased, downloaded, or otherwise acquired by the CIA, in some cases through other members of the intelligence community, including the FBI, NSA, and the NSA’s British counterpart GCHQ , the documents indicate. One borrowed attack, Shamoon, is a notorious computer virus capable of stealing data and then completely destroying hardware.Persistence, a tool found by the CIA, allows the Agency control over the device whenever it boots up again. Another acquired attack, SwampMonkey, allows CIA to get root privileges on undisclosed Android devices. “This is a very impressive list,” tweeted former GCHQ analyst Matt Tait, noting that at least some of the attacks appeared to still be viable. WASHINGTON — WikiLeaks on Tuesday released thousands of documents that it said described sophisticated software tools used by the Central Intelligence Agency to break into smartphones, computers and even Internet-connected televisions. If the documents are authentic, as appeared likely at first review, the release would be the latest coup for the anti-secrecy organization and a serious blow to the C.I.A., which maintains its own hacking capabilities to be used for espionage. The initial release, which WikiLeaks said was only the first part of the document collection, included 7,818 web pages with 943 attachments, the group said. The entire archive of C.I.A. material consists of several hundred million lines of computer code, it said. Despite UN resolutions and international opposition, North Korea test-launched four intermediate range ballistic missiles on Monday that reached within 200 miles of Japan. The test demonstrates not only Pyongyang’s disregard for more sanctions, but also its progress in missile technology. Besides North Korea, Russia, China, and Iran have also devoted resources to acquiring new missiles with improved range, speed, and accuracy. This evolving threat demands an equally, if not more advanced, technical solution. However, an effective one has been elusive. A key challenge for developing missile defense systems lies in the speed and unpredictability of an offensive missile. The defender must react to the threat without knowing precisely where the launch will come from or where it will go. Therefore, any defense inevitably trades response time for information – the longer the defender waits, the more information there is on where the missile is going, but there is less time to react. Technical solutions, therefore, are geared at disrupting a missile at three different stages during its flight path. The first stage, known as the rocket’s boost phase, is the most difficult phase to defend against. While the missile is easy to spot once the engines are lit, it will be at its fastest, and its trajectory—and final target—is most difficult to calculate. There are currently no viable technical defenses for this phase, however lasers mounted on unmanned aerial vehicles (UAVs) or aircraft could offer a potential solution. Following the alleged influence operation attributed to Russia during the presidential election, many are asking how the U.S. and allies can combat these efforts that string together propaganda, misinformation and social media “trolls,” to name a few. The questions come in the wake of the official announcement of a Russian information operations division within the Russian military. There is consensus the U.S. can stand up an architecture to swat down these efforts, but the “how” will be difficult given the bureaucratic structure of the government. The government needs to say this is how it’s going to defend the nation from these types of attacks be it information warfare, destroying data or stealing data, former director of the NSA and commander of Cyber Command Keith Alexander told the Senate Armed Services committee March 2. Unlike a conventional military strike, state-on-state cyberattacks can go unreported for years. U.S. government hackers began developing destructive malware meant to disrupt Iran’s nascent nuclear program as early as 2006, and deployed an early version of the worm in Iran the following year. But it wasn’t until 2010 that the first public reports about the cyberattack—dubbed Stuxnet—began to surface. At around the same time as the U.S. was working on Stuxnet, it attempted a similar attack on North Korea’s nuclear program. That effort failed: The malware never reached the computers that controlled the country’s nuclear centrifuges. But it wasn’t reported until 2015, years after it happened. Just this weekend, The New York Times described a series of cyberattacks on North Korea’s missile launches that took place in 2016, during Barack Obama’s final year as president. The timing of these landmark reports emphasizes the yawning gap that often opens between a high-profile state-on-state cyberattack and the moment it’s revealed to the public. A ship docked along the Port Arthur Ship Channel Wednesday, Jan. 11, 2017, in Port Arthur. When cybersecurity researchers discovered the computer worm known as Stuxnet in 2010, they reacted with a mix of excitement and anxiety. The excitement came from the apparent sophistication that went into crafting the malicious code designed to harm Iran's nuclear program by causing centrifuges to spin rapidly out of control. But there was trepidation, too: If one government had the technical prowess to launch such a devastating cyberattack, it wouldn’t be long before others followed suit. Symantec researchers Liam O’Murchu and Eric Chien, two of the first cybersecurity experts to analyze Stuxnet, say that time has arrived. “When we first started looking at Stuxnet, we had, maybe, one or two attacks we believed were nation-state related. Now, we’re looking at over 100 campaigns from all over the world,” Mr. O’Murchu told Passcode. O'Murchu and and Mr. Chien are among the cadre of cybersecurity professionals and intelligence officials interviewed for Alex Gibney's new film "Zero Days" that explores how Stuxnet sparked a global cyberweapons arms race. The inclusion of “civil society”—an umbrella group of activists, advocates, not-for-profit organizations, and even the academia—in Internet governance ranks among the most significant achievements of this decade in international relations. For a while, it appeared the “global, multistakeholder community” that drove normative processes like the 2014 NetMundial conference in Brazil, would stitch together rules for managing the global commons of cyberspace. That assumption today stands on shaky ground. If multistakeholder models of Internet governance were itself a product of globalization, its future appears uncertain in this current climate of “de-globalization” and localism. So, if states and strongmen have reclaimed political authority over national governance, why would they allow digital economies to function outside their remit? What’s more, these popular political leaders have discredited the private sector, which was expected to underwrite the global expansion of digital networks. Today, companies have neither the appetite nor the legitimacy to incubate such governing platforms. Instruments of globalization like the Trans-Pacific Partnership were supported by big technology corporations, but as the TPP’s demise shows, the mood across much of the world appears to favour protectionism over expanded trade. If the private sector recedes, multistakeholderism loses its most powerful advocate.